Well here’s a little something fun for you all — Sorority Sister Lauren over at Jammin’ in the Kitchen tagged me in a fun little game of blog tag. She makes all sorts of yummy foods that I drool over all the time…check her out! 1. Do you have a favorite family recipe or food tradition that’s been handed down to you? What is it? 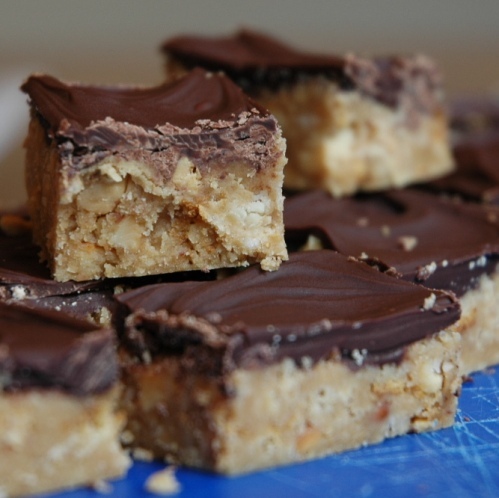 This would absolutely be my grandma’s chocolate peanut butter bars. How can you go wrong with these? 2. What’s the worst thing you’ve ever eaten? Probably the cow brains my dad forced me to try when I was little. Do I remember what they tasted like? Nope. Yet somehow I remember the terror. Thanks, dad. 3. What would you have for your last meal? Sunset Grill Nachos, of course! 4. What are you most grateful for in your life right now? The amazing friend and family relationships that have blossomed in the past year or so. Never have I felt so content being on my own, knowing I have such a comprehensive and unconditional network of love. 5. What is one recipe/new thing you’ve always wanted to try, but haven’t (or are afraid to make) yet? 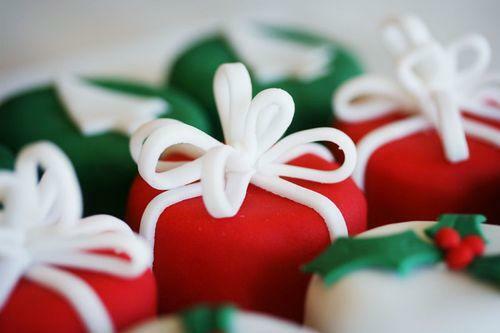 I also want to make petit fours…maybe Christmas themed ones like this? 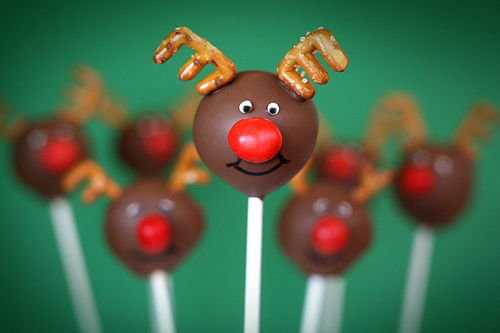 AND, although I’ve made cake balls at this point, I have yet to make and decorate cake POPS! 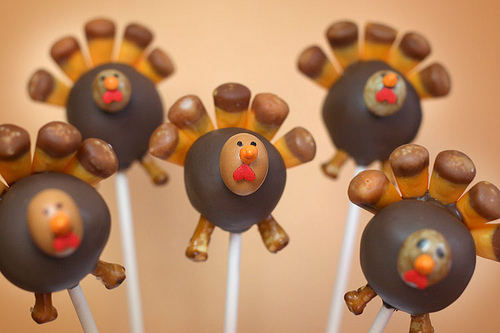 These might need to happen this Thanksgiving and Christmas. 6. What do you consider your greatest accomplishment as of now? This is a tough one. I feel like I’m doing pretty well for 25…I think that I’m finally finding the balance of work, school, theater, church, and relationships. Striking this balance is a huge accomplishment for me. Each of these areas of my life fill me up to my fullest, and I hope that by my being full, I am able to really connect with people I come in contact with on a daily basis. 7. If you could eat and travel your way through any city in the world, where would you go and why? PARIS!! Ok, so, I know I’ve been there already and whatever…it’s amazing. Truly, I’d cover the whole country of France, but I know that’s not what you are asking. 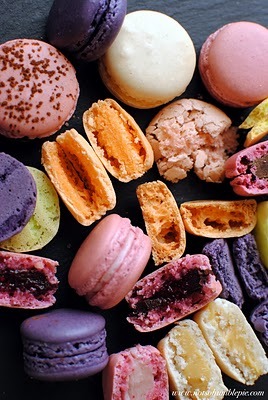 Paris is one of those places that has hole-in-the-wall patisseries and boulangeries and fromageries and DELICIOUSNESSIES in every nook and cranny. Where else can you buy a baguette, a chunk of cheese, and a chocolate pastry that were all made that day, and stroll down the Champs d’Elysees? Nowhere, that’s where. 8. Do you have a favorite cookbook that you go back to again and again? What is it? Actually, I have two really amazing family sources of recipes. One is a wooden “Chef Meghan” recipe box given to me by my mother full of our little family-of-two recipes, plus some from my grandma and aunt. The second is a big binder of my paternal grandmother’s old German recipes and my step-maternal (that works, right?) grandmother’s old Italian recipes. Each recipe is special to my family in one way or another. Mom’s chicken salad is among my most frequently made recipes. So that was pretty fun! And now, it’s your turn, my fellow blogger friends (in alphabetical order). I know you all blog on all sorts of things, but hopefully you can have fun answering the questions I’ve come up with below. Enjoy it! 1. What is the one blog or website you can’t start your day without (other than mine, of course)? 2. How about the one song you could listen to on repeat for forever and ever? 3. What is your ultimate to-die-for dessert, either that you’ve made or someone else has made, and why? 4. What is in your refrigerator right now? 5. What is your favorite book or magazine, and why? If you don’t have a favorite, then what’s the last one you read? 6. Baking, cooking, or takeout? Why? 7. What was your best food experience in the last few months? 8. What inspired you to start blogging? What has been your favorite post on your own blog? Happy answering! Thanks for the fun, Lauren! Kimmy wants to make the chocolate peanut butter bars tonight. I think it’s a preggy thing. You do know she’s preggy right? Um, my bad if I never told you…. FYI? BTW? Ha. I’m pathetically behind on my Google reader, blog, and life in general (hence why I’m just now reading this post). I’m definitely on board….expect a response sometime in the next eon. Hopefully.